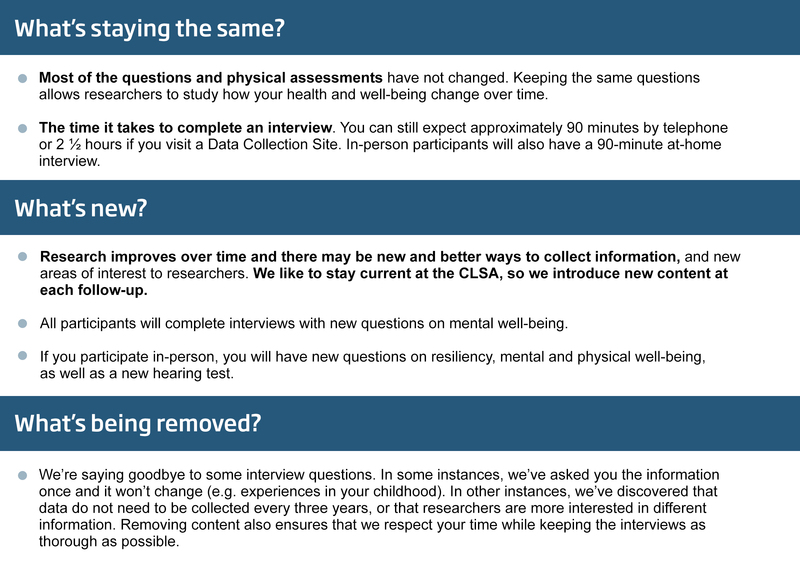 This wave of data collection, known as Follow-up 2, includes repeat questions from previous data collection waves to allow researchers to be able to assess how the health and well-being of participants change over time. In Follow-up 2, some new questions related to various aspects of participants’ physical and mental health have been added. In the table below, we have summarized what is new in the study as well as the type of information that will not be asked in Follow-up 2. Click image below to view full-sized version.